Today, national borders criss-cross the ocean, carving it up in the same way as the land. But with globalisation giving rise to new ways of thinking beyond traditional approaches to territorial sovereignty, we should start to view the ocean in a new light – as both a common good and a nation in its own right. “The sea is the vast reservoir of nature. The globe began with sea, so to speak; and who knows if it will not end with it? In it is supreme tranquility. The sea does not belong to despots. Upon its surface men can still exercise unjust laws, fight, tear one another to pieces, and be carried away with terrestrial horrors. But at thirty feet below its level, their reign ceases, their influence is quenched, and their power disappears. Ah! Sir, live – live in the bosom of the waters! There only is independence! There, I recognise no masters! There I am free!” - Jules Verne, 1869, 20,000 Leagues Under the Sea. 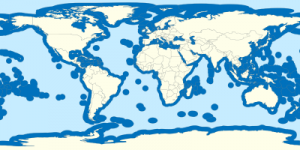 Planet Earth has five oceans that cover 71% of its surface, an area of 361 million km². After the Second World War, the principle of the freedom of the seas was challenged, particularly by the development of industrial fishing and offshore exploitation of hydrocarbons. The law of the sea was promulgated in the United Nations Convention on the Law of the Sea in Montego Bay in 1982, allowing states to exercise their sovereign rights over the seas and oceans. 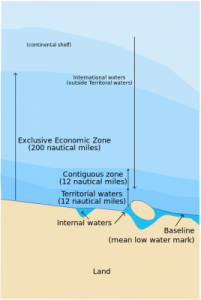 States can appropriate maritime spaces by claiming Exclusive Economic Zones, or EEZs, and extend their continental shelves beyond the 200 nautical miles (approximately 370 km) of the EEZ up to a maximum of 350 miles (approximately 650 km). Thus, EEZs have drastically carved up the oceans, now covering a third of their total area. Within their EEZs and their extended continental shelves, coastal states have an exclusive right of exploration and use for economic ends. They issue permits for exploration and use to industries that place pressure on fish stocks and the mineral resources of the sea bed. Largely unobserved, the sea has become the new frontier in the globalised race for fossil energy, traditionally carried out on land. Europe is a small continent if you only take into account the EU, but considering it from the sea, it is suddenly restored to the status of the great global continent once marked out by its colonial empires. A third of world hydrocarbon production is now offshore, taken from the sea bed. 78% of Total’s fossil hydrocarbon production is offshore, of which 30% is deep offshore (at a depth of over 1,000 metres). Between 20 and 30% of total estimated hydrocarbon reserves are located at sea. More than 90% of international trade crosses the oceans. Transportation of energy products represents nearly a third of global maritime traffic. 95% of global communications (internet, telephone, financial flows) passes through submarine cables. “Globalisation is thus largely confused with maritimisation of the world”. Europe is a small continent if you only take into account the EU, but considering it from the sea, it is suddenly restored to the status of the great global continent once marked out by its colonial empires. Thus the European EEZ currently covers 25.6 million km². These spaces claimed by the European states are mainly located outside the EU. The colonial past of the old world is now being revived by new territories and new resources to conquer. Europe has the opportunity to play a major role in global governance of the ocean. 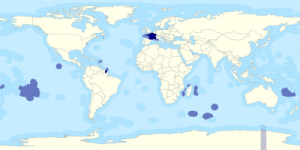 France, the second largest maritime country in the world after the United States, claims 11 million square kilometres of EEZ, but more than 95% of this area is overseas. Islands become strategic points for claiming maritime spaces and their resources. 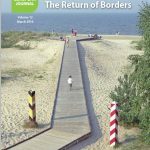 France’s presence around the world multiplies its maritime borders – it has 39 borders with 30 different countries. Of these 39 borders, 34 are outside mainland France. This proliferation of maritime borders leads to tensions, claims and negotiations. Overseas areas of France, which represent more than 95% of French maritime space, are therefore particularly important in terms of economic, energy-related and geopolitical issues. Another point that the United Kingdom and France have in common is that a large proportion of their EEZs stems from territories listed by the UN as decolonised (see below). Although many analysts believe that “globalisation” has weakened the state, whether they celebrate or deplore this development, in fact the state has not been weakened as a pillar of the global system, nor has it been rendered obsolete by the phenomenon. Clearly the historical process of exploration and control of territory, its resources and populations that was started by the modern state in the Renaissance is not over. There are still spaces outside the control of states. National borders now cut across the ocean in the same way that they have dissected continents. It is a colonisation that does not, or rather, no longer speaks its name. Globally, this colonisation of maritime spaces, mainly carried out by coastal countries in the North, risks aggravating existing inequalities and it may lead to conflicts. Also, nearly a quarter of states have no coast and must negotiate with their neighbours to gain access to the sea. These states are often also among the poorest and least economically developed. Bolivia, Paraguay and the Central African Republic share this fate. 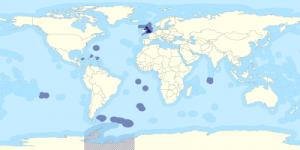 The United Nations Convention on the Law of the Sea allows the richest nations to share the ocean and its resources, as it was initially designed to favour the emergence of the countries of the South. This is a paradox only in appearance, as the positive effects of extending borders to the ocean floor also extend the area of influence of large companies in the extractive industry, which are mainly in the hands of developed countries. Globally, this colonisation of maritime spaces, mainly carried out by coastal countries in the North, risks aggravating existing inequalities. These new borders also trigger old reflexes. If a border has come to delimit a sovereign area, this implies that the territory cannot come under a competing sovereignty. There is an exclusive right of exploitation. According to the International Energy Agency (IEA), “Crude oil production from existing deposits, situated mainly on land or in shallow coastal waters, will drop by two thirds between 2011 and 2035. This decrease, according to the IEA, may be compensated, but only by replacing the current oil fields with new deposits: the Arctic, deep ocean waters and shale formations in North America”. The ocean and its resources are at the heart of the ecological, economic, energy-related and geopolitical issues of the 21st Century. The areas of tension are spread around the world. For example, consider the Eastern Mediterranean, where Israel, Syria, Lebanon, Cyprus, the Turkish Republic of Northern Cyprus and the Palestinian Authorities claim oil and gas reserves in the same maritime territory. Also, London’s claim to an EEZ around the Falkland Islands (also known as Las Malvinas) and authorisation for oil prospecting has been linked to a resurgence of tensions between the United Kingdom and Argentina. As the second largest maritime country in the world, France, for example, is implementing a programme called EXTRAPLAC (reasoned extension of the continental shelf) lead by IFREMER (the French Research Institute for Exploitation of the Sea) to orchestrate their conquests, and it has recently claimed an area of 500,000 km² – a huge playground created by public money and oil companies. This grabbing of maritime spaces and competition for resources mean that the vital role of the ocean disappears entirely. However, most of the oxygen that we breathe comes from the ocean. It is also the main climate regulator. Since the early 1970s, the ocean has absorbed over 90% of the excess heat linked to the increased greenhouse effect, thus limiting the air temperature but heating the water and raising sea levels. It has also absorbed more than a quarter of anthropogenic CO2 emissions since 1750, acidifying sea water. If the ocean released everything it stores into the atmosphere, the resulting temperature increase could be as high as 20°C. If the ocean system stopped working, we would cease to exist. The alert has been raised by various communities, including the scientific community, which calls for 80% of fossil resources to be kept in the ground if we want to limit global warming and avoid triggering an irreversible drop in biodiversity, which could cause us to become extinct by about 2100. Stopping the current pillage and resulting colonisation of the seas and oceans is an urgent need – it is now not just a moral imperative but a matter of survival. To this end, we must stop investing in the various fossil fuel sectors. We cannot continue to subsidise the oil and gas industries that use the atmosphere and the ocean as rubbish dumps. We must escape from our dependence on oil and hasten the energy transition. However, even weaning ourselves completely off hydrocarbons will not entirely prevent this ‘grabbing’. This privatisation of ocean space under the guise of national sovereignty has made oceans the last frontier in the race for resources. The privatisation of ocean space under the guise of national sovereignty has made oceans the last frontier in the race for resources. The only argument that can oppose privatisation is that of the commons. Dardot and Laval define “commons” as follows: “The commons are not goods… they are a political principle that we should use to build up the commons, to help to preserve and extend them, and to enable them to live.” At the same time, the commons are resources governed by legal systems that enable sharing and collective management. 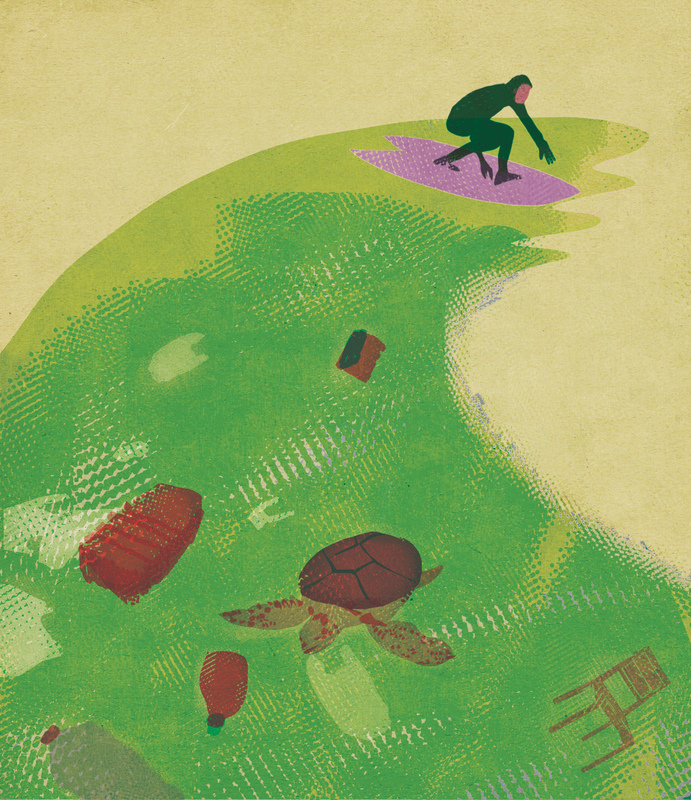 We must stop thinking of the ocean as a resource, but rather as a space that is exempt from the logic of exploitation. For the waters of the Jordan or the Mekong, the mining resources of Western Europe, the Amazon rain forest or the fishing areas of the Mediterranean, there is only one appropriate response to tensions over resources: cooperation. The logical conclusion of this idea is that the principle of the commons should take precedence in states’ global governance of the ocean. To keep the peace, we must rid ourselves of colonising initiatives and establish the ocean as a common, defining forms of collective government and access to resources based on usage. This is the political aim of the “Ocean Nation” initiative: to make the ocean a nation so that it becomes subject to international law. Thus, citing various international treaties, “the Citizens of the Ocean Nation request systematic criminal prosecution of ocean poachers, of entities, whether legal or illegal, that generate pollution, and of actors that facilitate exploration that is illegal (…)”. Founded towards the end of 2015, in the run-up to the COP 21 Climate Conference in Paris, “Ocean Nation” takes the unlikely step of linking the idea of the nation, which basically involves private control, with the idea of commons, which theoretically implies the opposite. In a global order shaped by the separation of nations, which force is the only one that can stand up to the voracious hunger for territory and the exploitation of resources that characterise the logic of the nation state? Another nation. The principle of non-intervention may have been challenged by Médecins Sans Frontières and the intelligence services of the large powers, but it is still at the heart of the international order. Making the ocean a fully national space is a creative way to counter the principle of national sovereignty and its absolutist tendencies. It is a declaration of independence for the ocean. As fish, dolphins and reefs have no say, it is up to the human inhabitants of the planet to make this demand. Seeing the ocean as a common nation is a way of going beyond the limited idea of the nation. It is a border to abolish borders, a state that imposes itself on all others without any imperialism. Founding a nation outside the context of the state is a way of showing that nations do not necessarily have exclusive ownership of the territory they administer. Commons establish the principle that some things cannot be appropriated. Thus, making the ocean a nation takes the logic of the commons even further, based, as it is, on the principle that everybody should take part in deliberations and decision-making, and that usage takes precedence over ownership. The ocean is the original source of life on earth. The primordial soup which fed us and allowed us to grow. It is the homeland and the mother that we all share. It is truly the place where we were born – our natio.